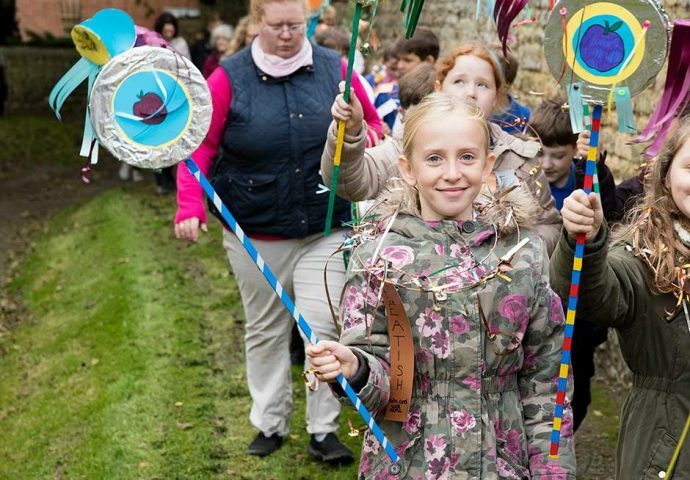 The Welbourn Horkey Festival was a celebration of harvest and traditional rural life in the village of Welbourn. 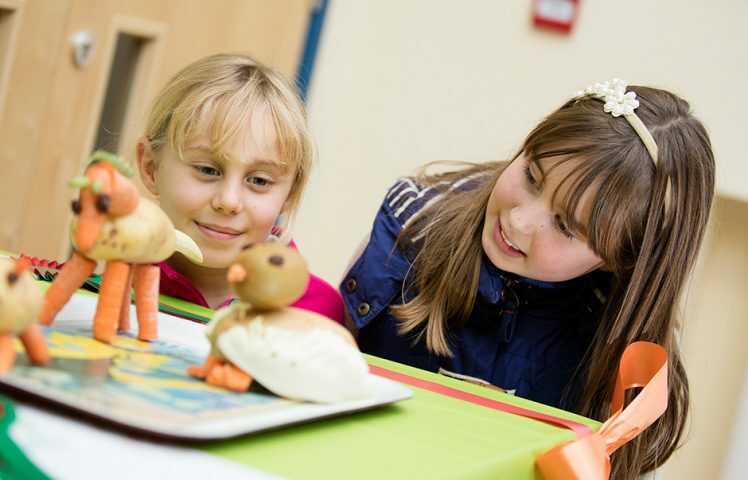 It took place in October 2016 in a number of locations around the village: the Village Hall, Castle Hill, St Chad’s Church, the Old Forge and the location of the former Co-Operative Shop. 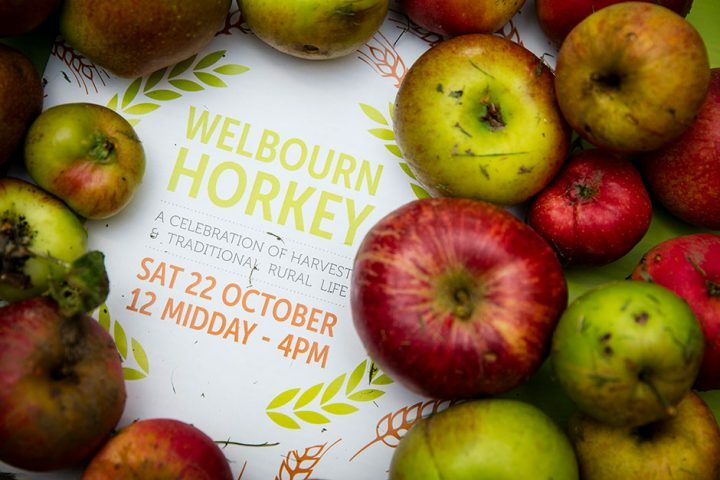 The Horkey information guide is immersed by apples from the community orchard in Welbourn. 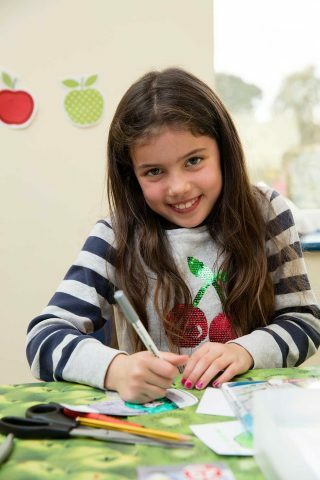 A number of prints made by the pupils of Sir William Robertson school was processed with the pupils of Welbourn Primary. 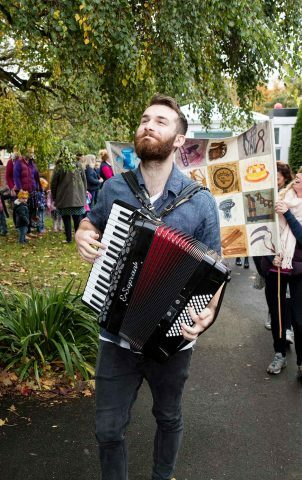 Musician Danny Pedler led the precession of pupils of Welbourn Primary to St. Chad’s church which took place on the previous day to the Horkey. 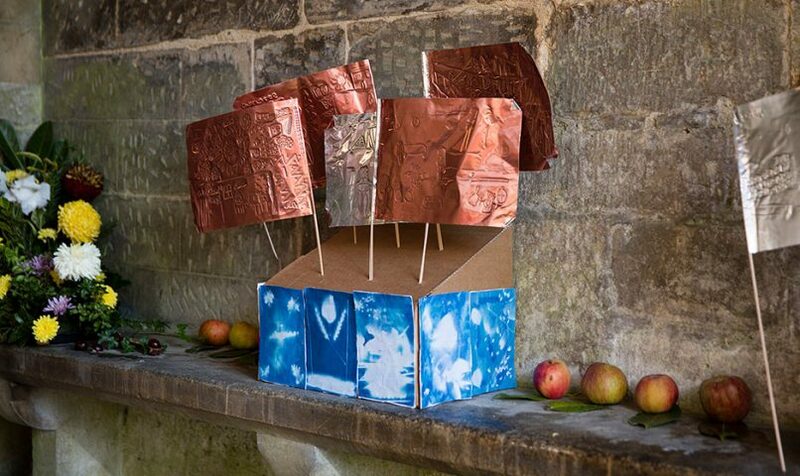 Pupils processing with work made in Miranda Sharpe’s workshops. 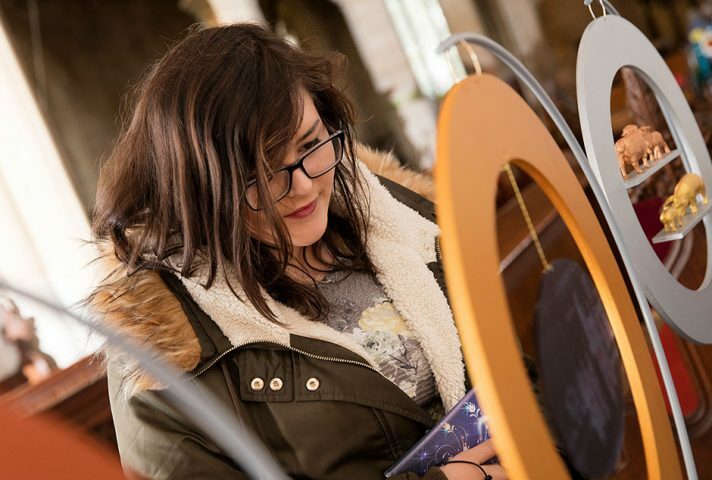 Pupils processing with their artworks from Welbourn Primary to St. Chad’s church. Their pieces were inspired by local crops and local dialect words such as Featish which means ‘good’ or ‘excllent’. 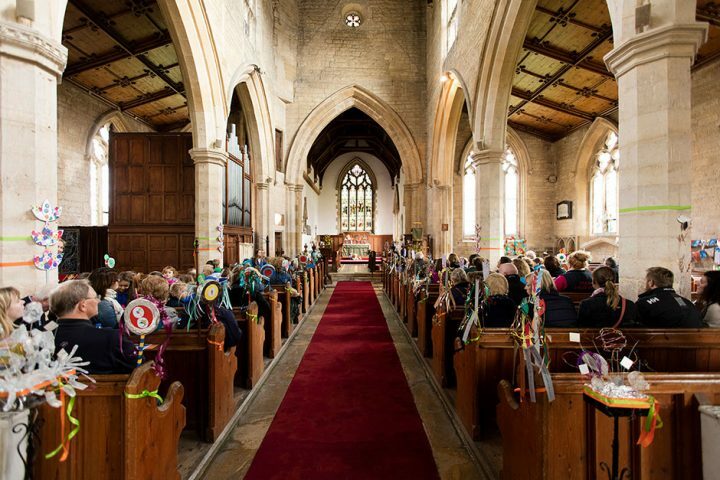 Pupils of Welbourn Primary and villagers processing with their artworks into St. Chad’s Church. Villagers in St. Chad’s church at the harvest service the previous day. 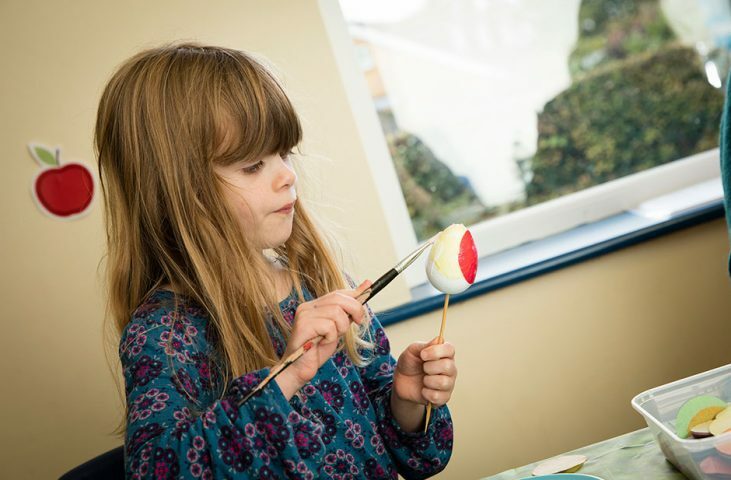 Artworks created in art workshops hosted by artist Miranda Sharpe. 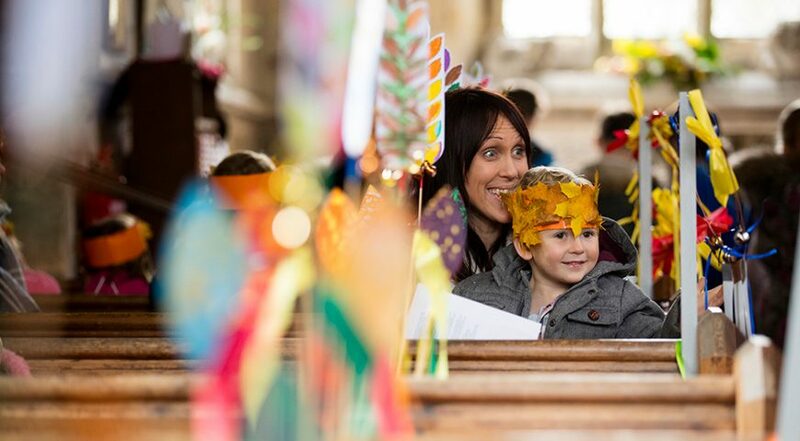 Community made decoration in St. Chad’s church inspired by the agricultural heritage of Welbourn. Decoration in St. Chad’s church inspired by the agricultural heritage of Welbourn. 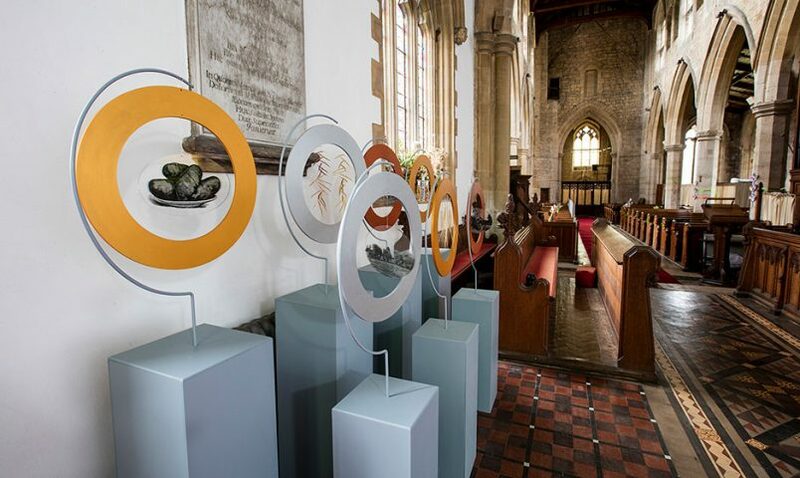 Artist Lyndall Phelps’ artwork ‘Fertile Ground’, on display in St. Chad’s church. More locals fascinated by Lyndall Phelps’ piece ‘Fertile Ground’. One side of Lyndall Phelps’ artwork ‘Fertile Ground’. It is comprised of 14 individual artworks suspended inside a circular frame and held on pillars. 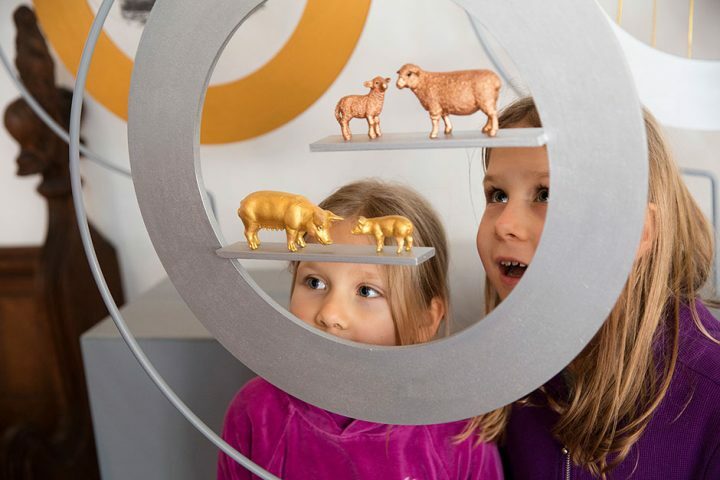 A visitor inspecting artist Lyndall Phelps’ main artwork ‘Fertile Ground’; the piece was created for Welbourn inspired by the village’s agricultural heritage. 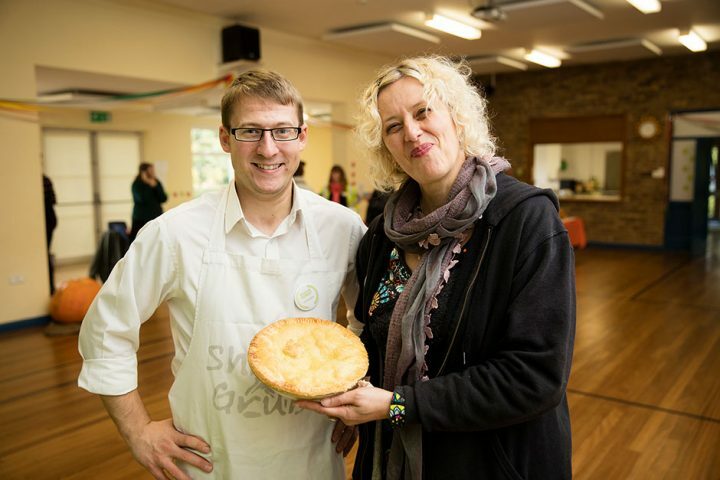 Shrub & Grub bakery judged the bake-off competition. Shrub & Grub bakery baked fresh bread on the day using flour milled from local grown wheat. 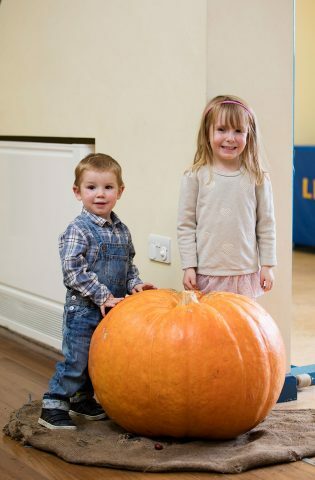 A huge pumpkin was displayed in the village hall by local farmer Robert Cross, people were invited to guess its weight. Locals with their entries in the creative vegetable competition. 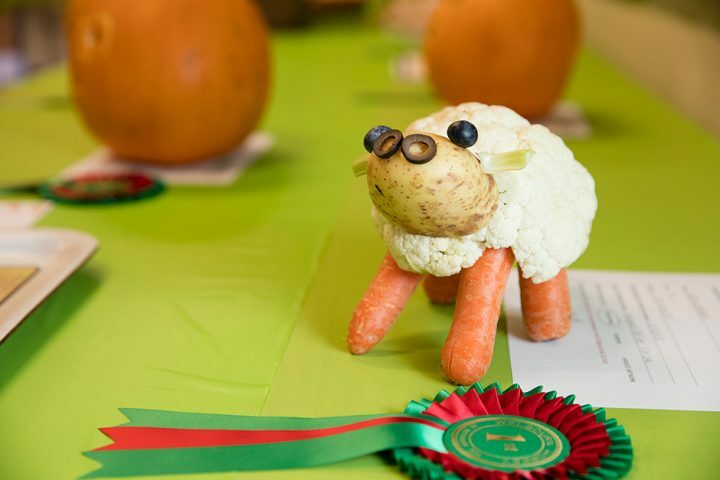 Another entry in the creative vegetable competition. 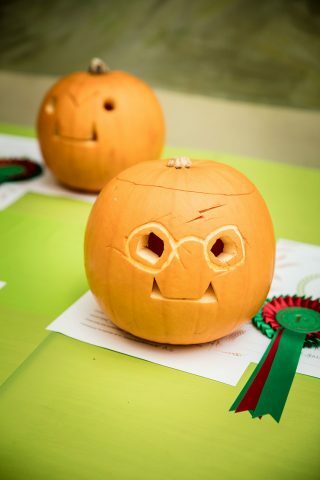 Bake-off and creative competitions were held on the day, this is an entry of the creative vegetable competition. Apples picked from the village community orchard were displayed and pressed into fresh apple juice that was free for people to drink. All the produce in the set of the old Co-op shop. 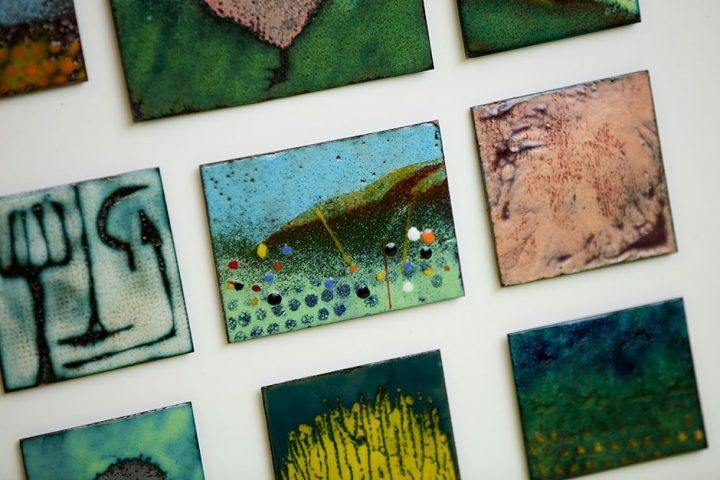 These enamels were created by members of the community in a workshop hosted by artist Miranda Sharpe; these were then displayed at the Horkey. The designs are inspired by Welbourn’s agricultural heritage. Locals were exposed to their agricultural heritage through farming demonstrations and exhibitions. The 1920s threshing machine was situated among other agricultural vehicles on Castle Hill in the centre of Welbourn. 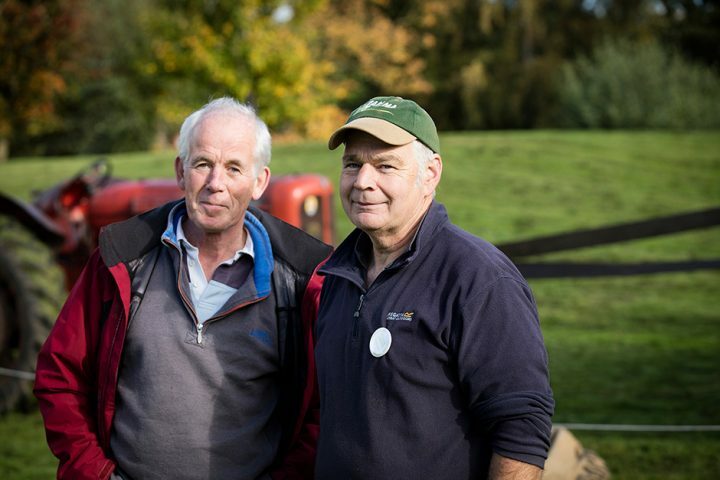 Local farmer Robert Cross (right) was instrumental in organising the displays of agricultural machinery that defined the Horkey. 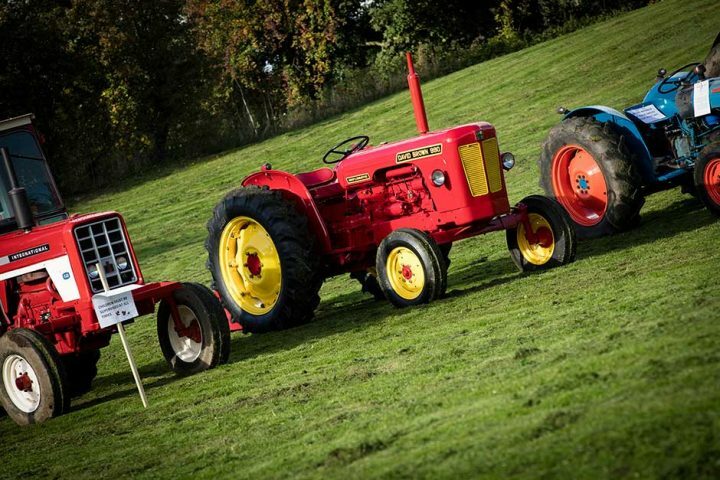 Local farmers brought agricultural machinery to be displayed to the public. 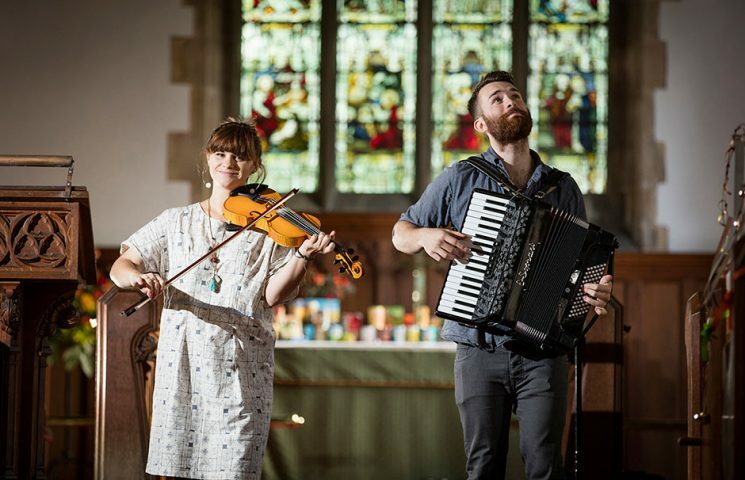 Folk duo Danny Pedler & Rosie Butler-Hall performed at the Welbourn Horkey; here in St. Chad’s church. 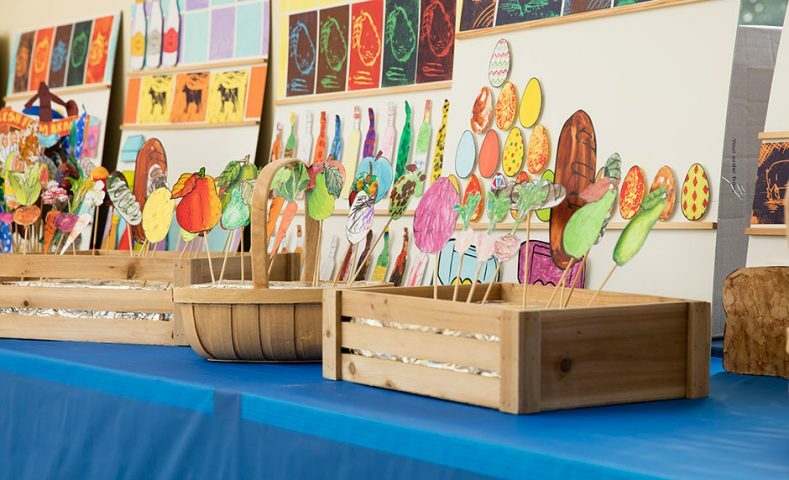 Art workshops were held all day in the village hall; the work that was created was added to a stage-like set of the old Co-op shop in the village. 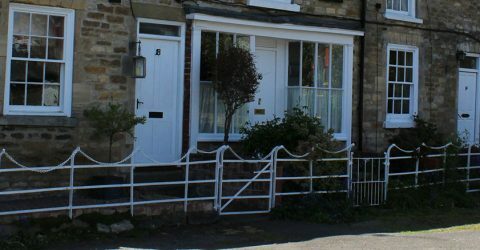 The old shop was formerly the first rural branch of the Lincolnshire Co-op, opened in 1878. The set of the Co-op shop comprised of produce such as eggs, sausages and sacks of flour. 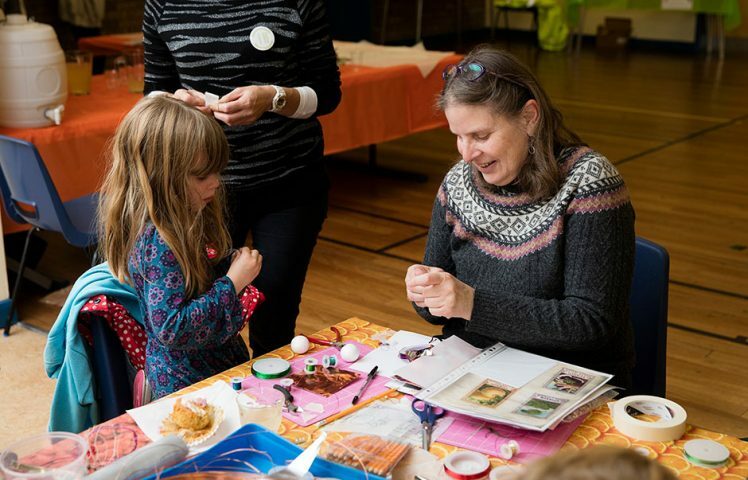 Artist Lyndall Phelps led the workshops at the Horkey as well as a previous community workshop in the village that started work on the Co-op shop set. Artist Miranda Sharpe held workshops at the Horkey working with copper wire that was sculpted into heritage-inspired models such as crops. 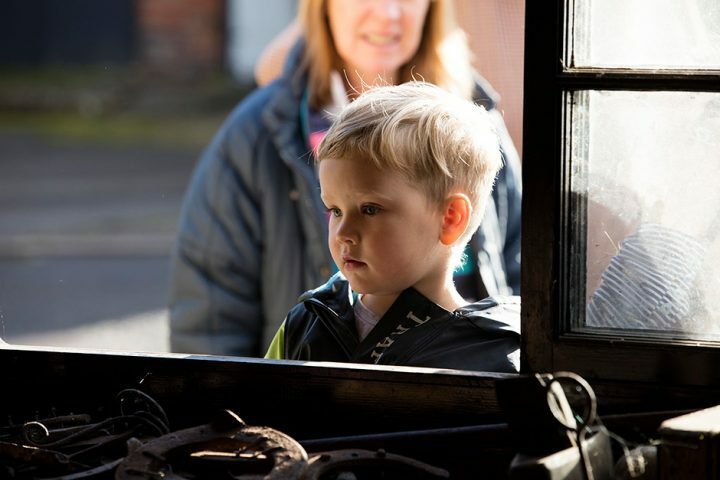 Welbourn forge was opened to the public for the Horkey and two young volunteers got it firing. Locals were fascinated by the working forge that dates from 1864. 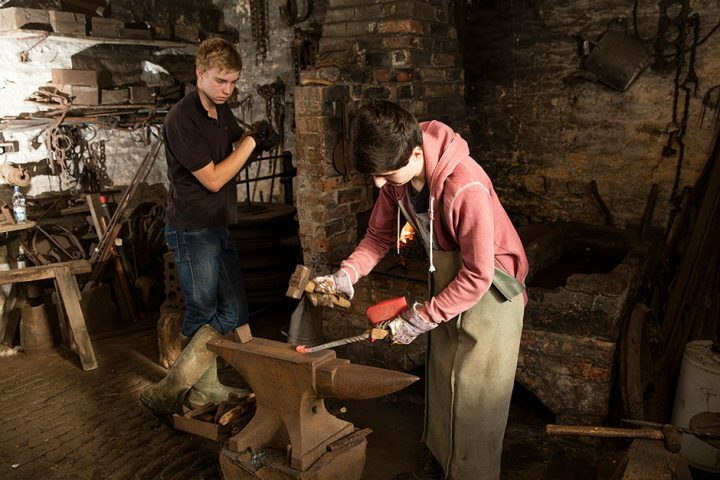 Two local volunteers working the forge. 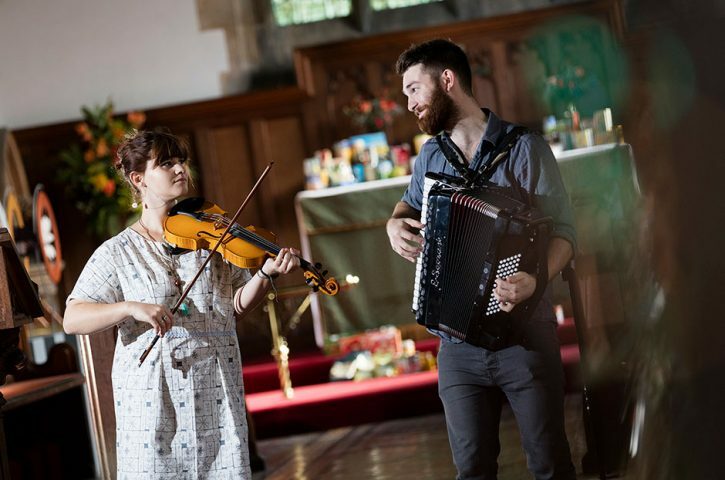 The Horkey (a traditional name dating from the 16th Century for end of harvest celebrations) told the story of ‘seed to loaf’, inspired by the time when Welbourn and other small villages like it, were able to sow the seed, harvest the wheat, mill the flour and bake the bread all within a few miles. 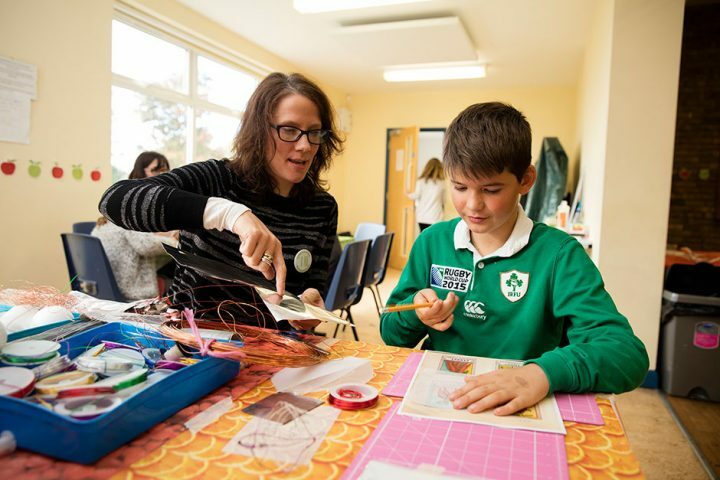 Prior to the Horkey weekend, a range of workshops and activities were held with families and community groups to increase knowledge of local history and encourage people to create artworks responding to what they have learnt. 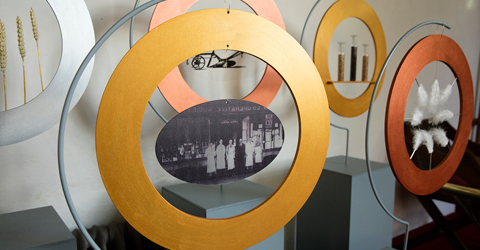 The works produced formed a major part of the Horkey celebrations and served to decorate, inform and inspire visitors during the event. 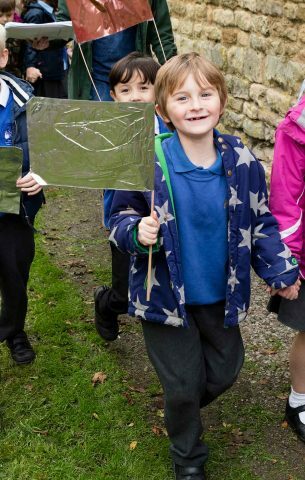 School children at Welbourn Primary School worked with artist Lyndall Phelps and Miranda Sharpe and historian Dave Reeves to create artworks inspired by the village’s heritage. 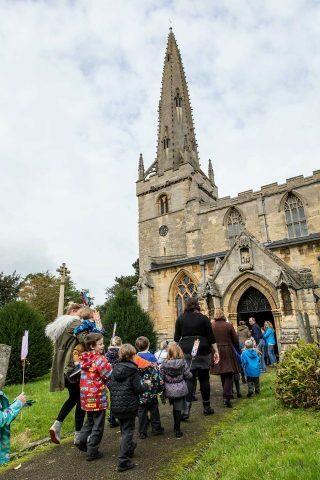 Dave Reeves explained the history of Welbourn to the older children and used his research into the local dialect of the area as inspiration for a praise poem for the village that they wrote together. 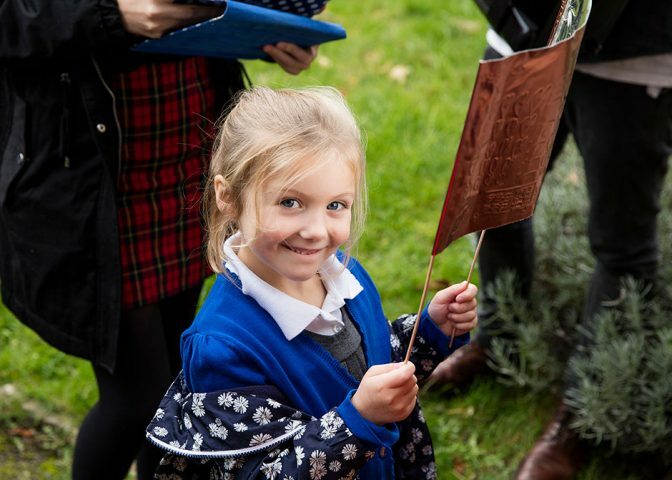 Other children created artworks inspired by crops seeds and leaves or ‘boundary markers’ and wearable neck pieces using local dialect words, and metal flags celebrating the Welbourn story. Secondary pupils from Sir William Robertson Academy worked with Lyndall Phelps on a project focused around agricultural history and the trades that had been working in the village, recorded on the 1911 census. 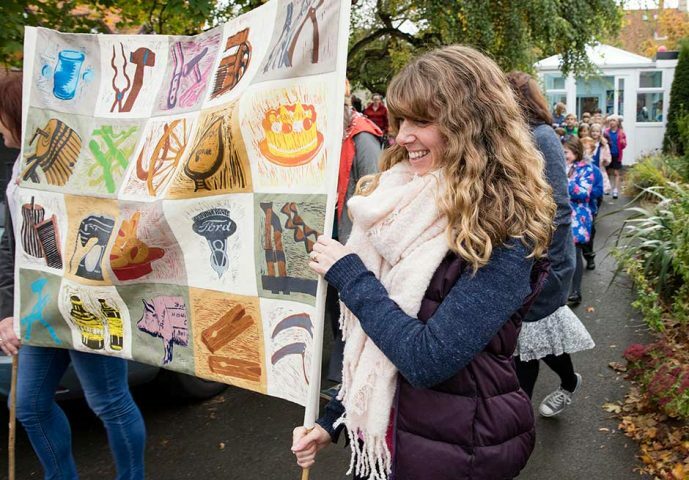 Students visited the Museum of Lincolnshire Life for research purposes and to make preparatory drawings of tools associated with the trades, these were then translated into designs onto fabric using lino printing techniques. The series of prints were then sewn together to make a striking ‘trade banner’. 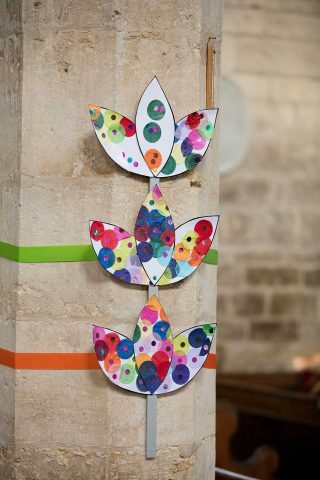 This was processed alongside the primary school artworks to St Chad’s Church where it was displayed during the church service before moving to the Village Hall for the Horkey day. 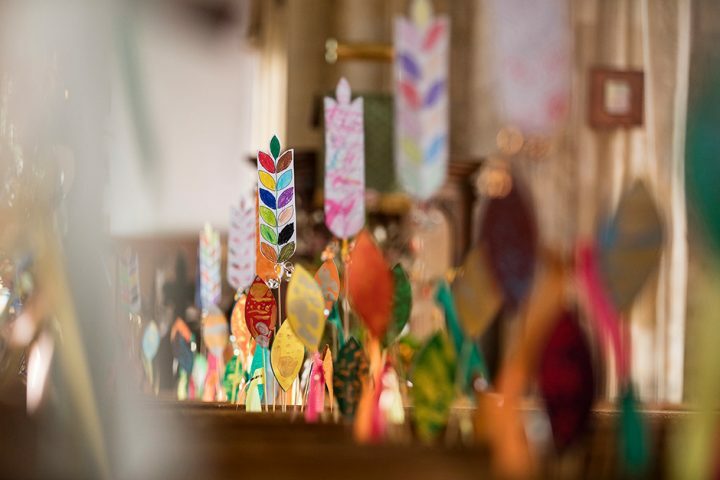 At the Horkey event itself, as well as enjoying the outcomes from school and community workshops, a new artwork by Lyndall Phelps was displayed at St Chad’s church. 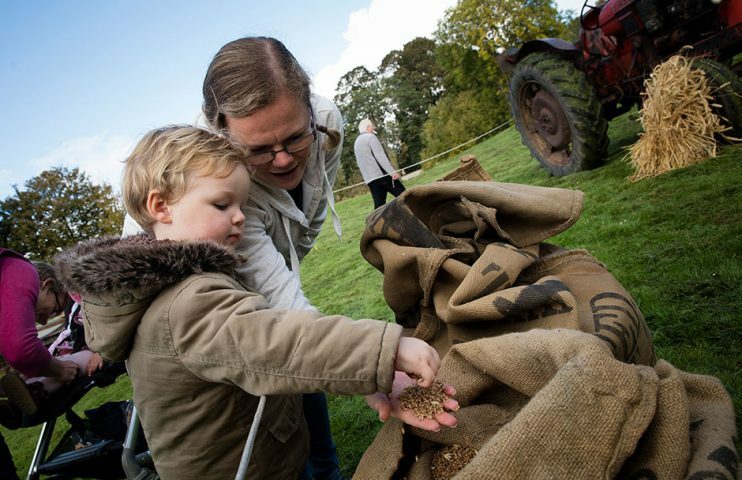 Visitors could also see an exhibition of vintage and traditional farming equipment, organised by local farmers that took place on Castle Hill. 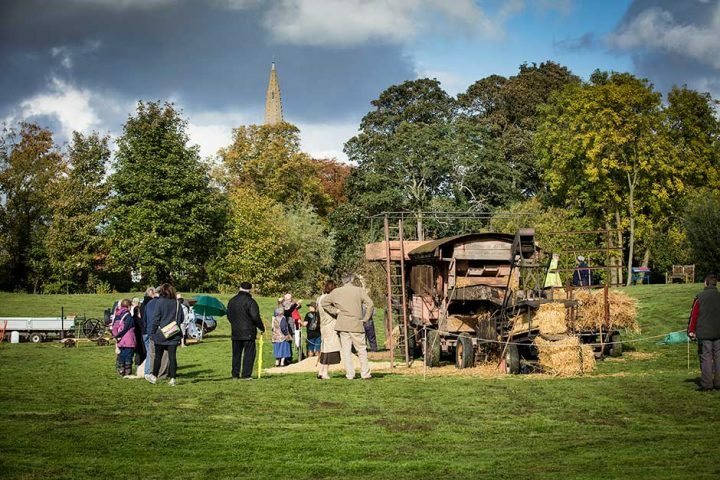 The star attraction was a working 1920s threshing machine which drew a huge crowd. 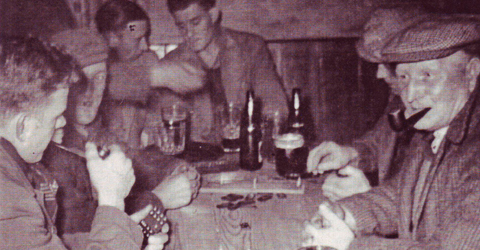 This part of the Horkey was vital to Ridges & Furrows’ focus on the agricultural history of the area and to introduce or reintroduce people to the farming practices of Lincolnshire. 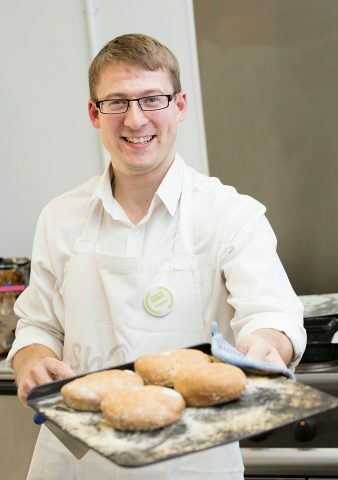 At the village Hall the Shrub & Grub local bakery worked throughout the event to create loaves from locally grown wheat flour. 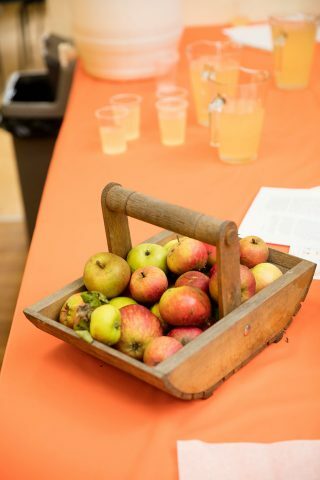 Free apple juice, pressed on the morning of the event from apples grown in Welbourn’s community orchard, received a lot of positive feedback. In addition to this locally grown attraction, farmer Robert Cross brought in a huge pumpkin for people to guess the weight of.